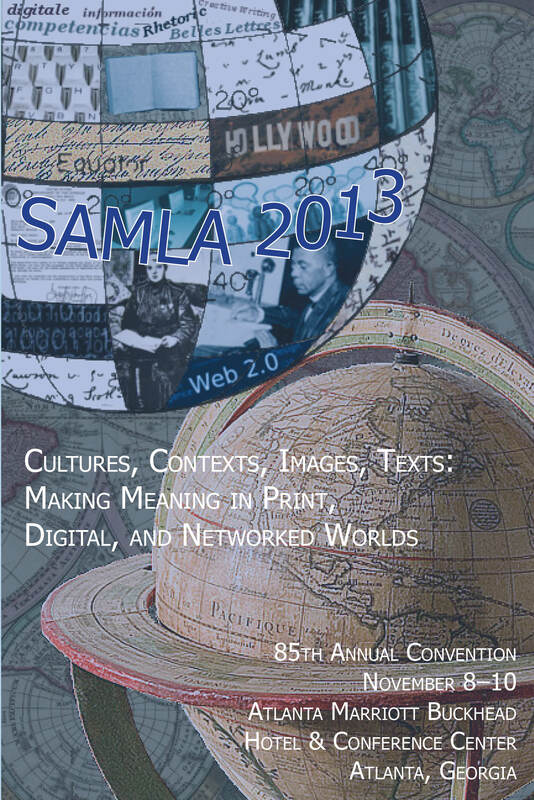 This session welcomes submissions on Italian literature and culture (1600 to the present) related to SAMLA‘s focus, “Cultures, Contexts, Images, and Texts: Making Meaning in Print, Digital, and Networked Worlds.” Topics include but are not limited to the relationships between print and digital publications of Italian literature, the use of Italian art or film in pedagogy, analysis of Italian books in film, and using images in the interpretation of texts. Brief abstracts (200-500) words from all disciplines dealing with Italian works and culture are welcome. Please submit them by June 20th to Saskia Ziolkowski, sez6 AT duke.edu. The conference is taking place November 8-10, 2013 in Atlanta, Georgia. Description of SAMLA’s special focus: We hope that this year’s special focus will also enhance the increasing level of interdisciplinarity in higher education. SAMLA 85, “Cultures, Contexts, Images, and Texts: Making Meaning in Print, Digital, and Networked Worlds,” will encourage dialogues surrounding the intersections between literatures, languages, rhetorics, and media—problematizing boundaries between print and digital, between reading and writing, between scholarship and pedagogy, between text and image, between institutional and vernacular, and between critique and making. The ways in which we make meaning are varied and vibrant, and this conference enables us to come together to share, make, and gain new knowledge about our work.